Check out the FB Event here! 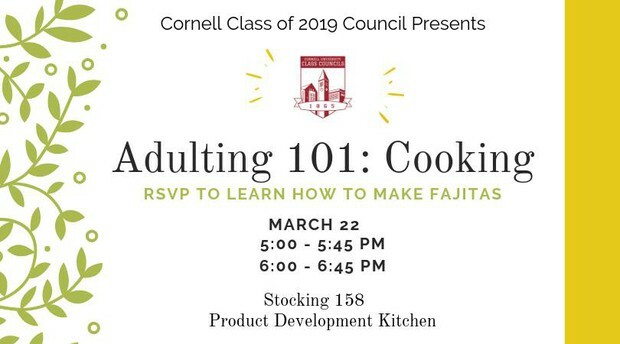 Class of 2019 is hosting another Adulting 101 Workshop on Cooking! Bored of microwavable meals or take-out? Come learn how to make fajitas! All ingredients will be provided. We will accommodate any dietary restrictions and allergies. Senior Days Ticket Sales Coming Soon! Get excited for Senior Days! 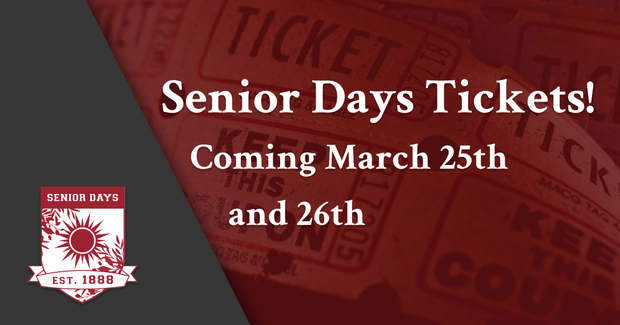 Senior Days is a week of events for seniors to participate in right before graduation. It is a great time to hang out with friends, have fun, and celebrate the completion of our undergraduate career. We will be starting our ticket sales on March 25th and 26th, so be on the lookout for more information! 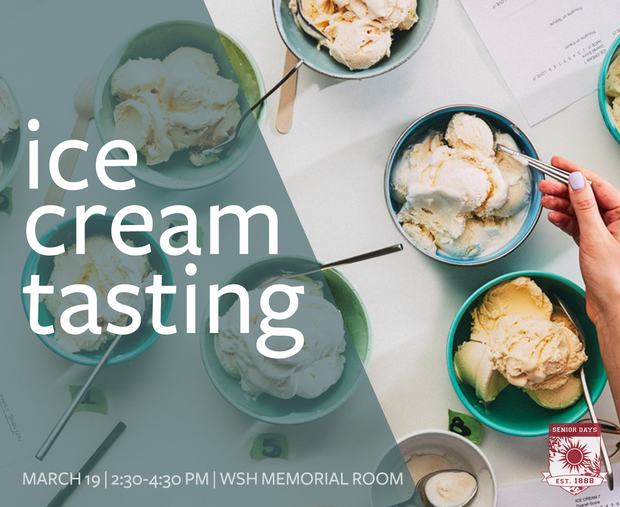 We will also have toppings and cones so you can customize your own ice cream! Come out for a study break, and make sure you bring your student ID so we can check that you are a senior! 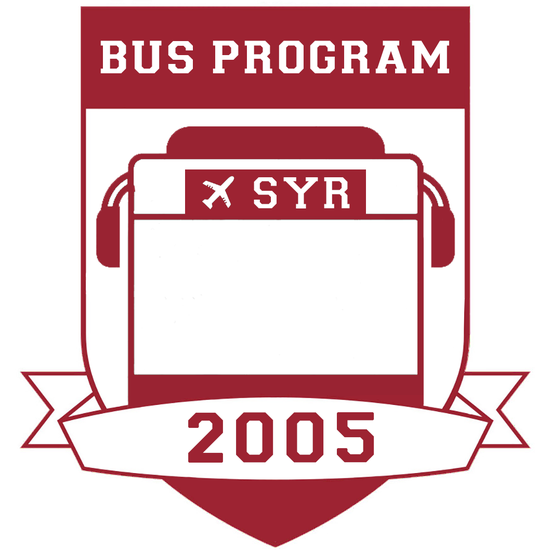 Bus Program - Tickets to SYR for Spring Break! Buy tickets to Syracuse Airport Here! Convocation: Senior Convocation has a complex and rich history and stems from Class Councils. Born as a student initiated program over 36 years ago, Senior Convocation has evolved from a small supplemental student program to a university event that draws thousands of parents, families, friends and graduates each year. Bus Program: The Bus Program provides transportation to and from Syracuse Airport so you can catch your flight out of town and find your way back to Cornell. Pickup locations are available on North, West, and Collegetown. Senior Days: Senior Days is a byline funded organization that is composed of a variety of different committees that serve the senior class. Zinck's Senior Society: Zinck's Senior Society is a senior social club with the goal of uniting the Class of 2019 through monthly events. We have membership cards to gain exclusive promotions at local Ithaca businesses, free merchandise, and Class of 2019 events. 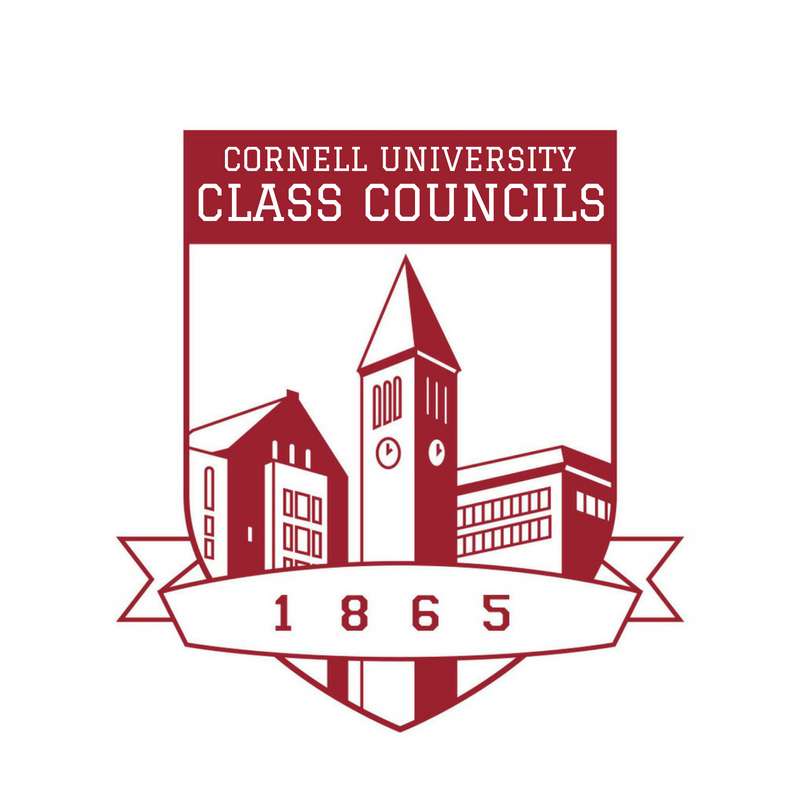 Cornell University Class Councils is one of the only organizations on campus where every student is a member. 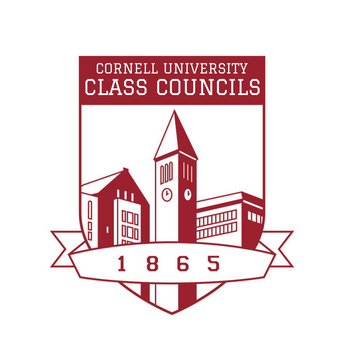 Class Council's mission is to foster a sense of unity and pride within each of Cornell University’s four undergraduate classes, as well as Cornell as a whole, during the four years students are on campus. The sense of unity and pride is fostered through a series of events and programming designed to appeal to the diverse nature of our campus community.